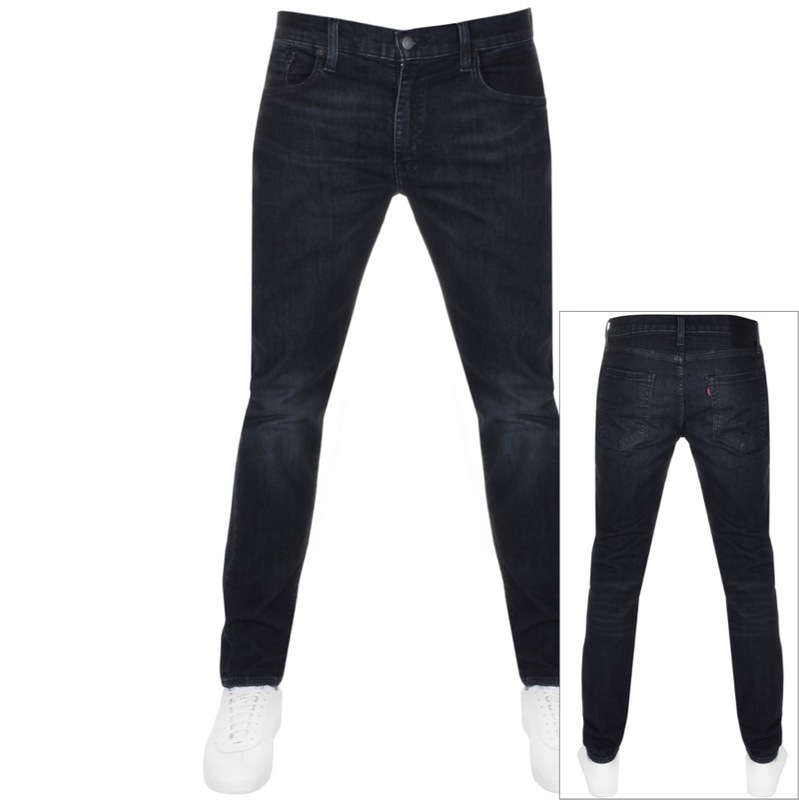 Levis 512 Slim Tapered Fit Jeans In New Steinway Washed Black, A slim tapered leg which sits just below the waist with added stretch to the denim. Intentional fading effect to typical stress points with a gold metal zip fly and Levis Strauss logo embossed top button fastening with five belt loops on the waistband. Five pocket design with two pockets on the waist with a small coin pocket within the right pocket and two pouch pockets on the reverse. The signature Levis Strauss logo patch is situated on the reverse right of the waistband in black with the signature woven Levis logo pinch tag stitched into the left seam of the reverse right pocket in red and white. Black metal rivets across the front pockets for reinforcement and top stitch detail on all the seams in black. 99% Cotton And 1% Elastane. Brand New Collection Of Levis Jeans Live Online.